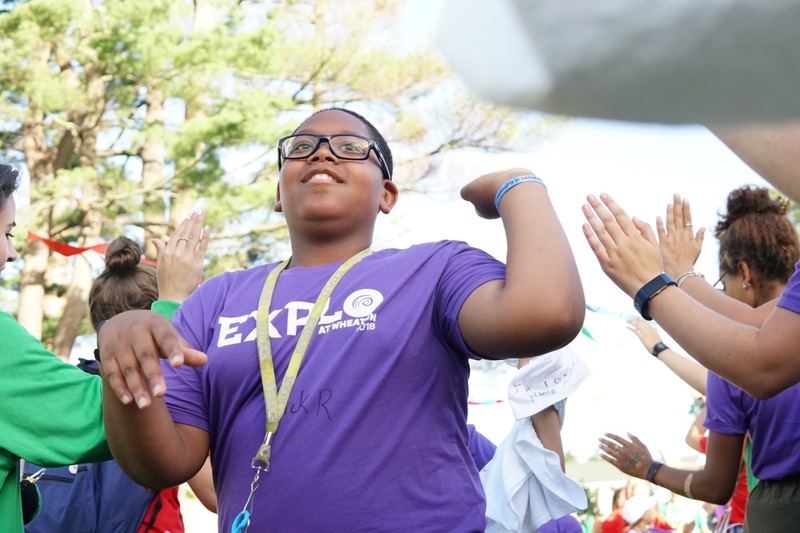 There's no type of party like an EXPLO Final Party! 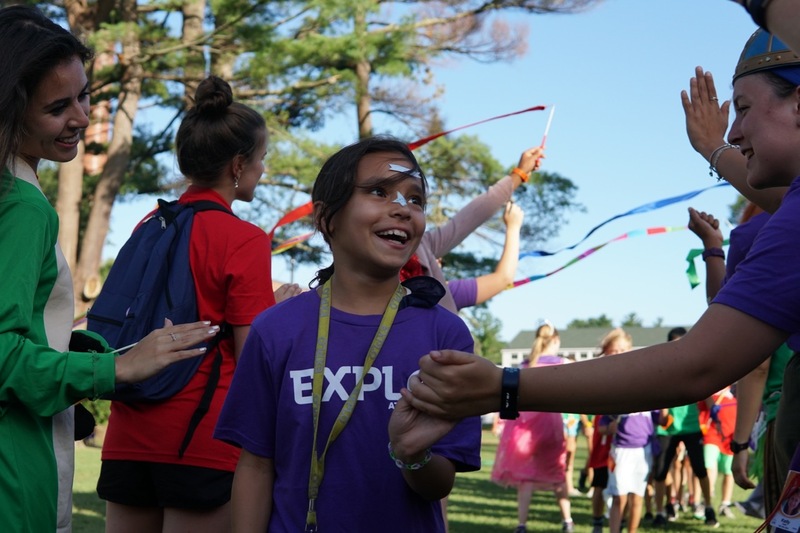 The entire EXPLO community joins together for games, treats, arts and crafts, music, dancing, and an overall magical night. 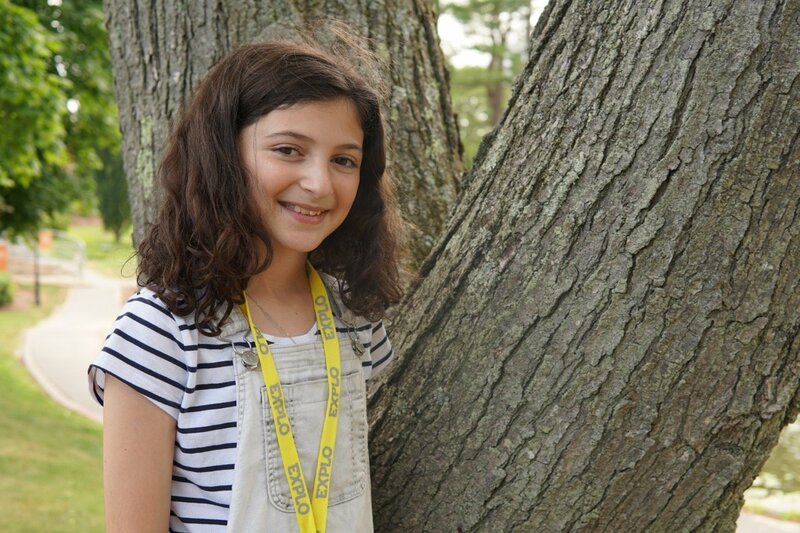 Sixth grader Sadie is back at EXPLO for her second summer and her first time as an Ambassador. 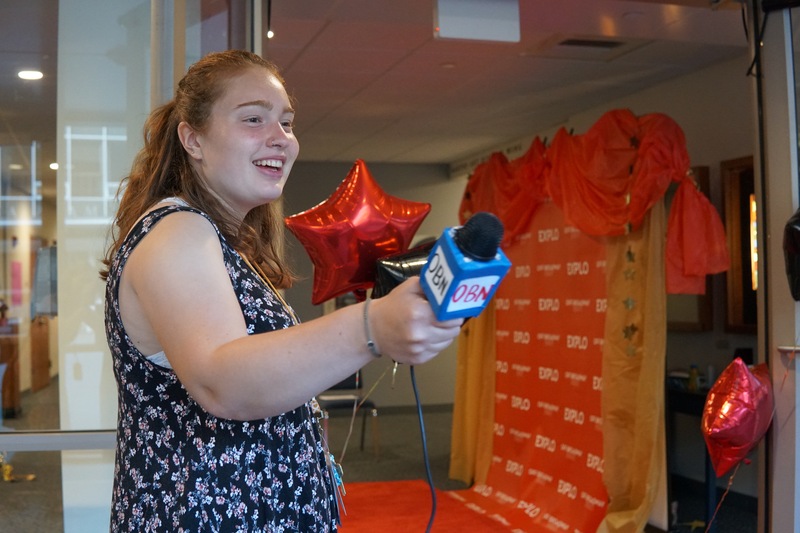 Whether it's in the dorm or at the cafeteria, she encourages new students not to be afraid to make new friends — and she's ready to help them do that! 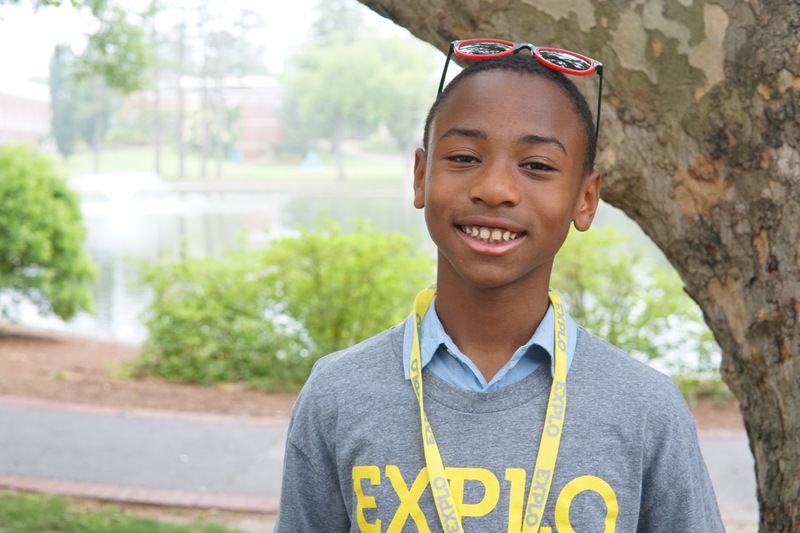 Rising sixth-grader Myles is back at Wheaton for his fourth summer, ready to mentor younger students as an EXPLO Ambassador. 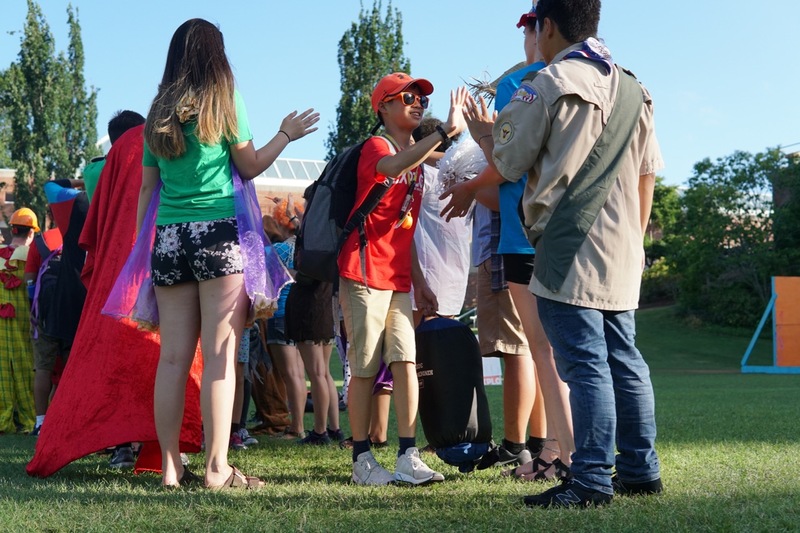 He also hopes to connect to others in his living group by playing a classic card game with a team-building twist! 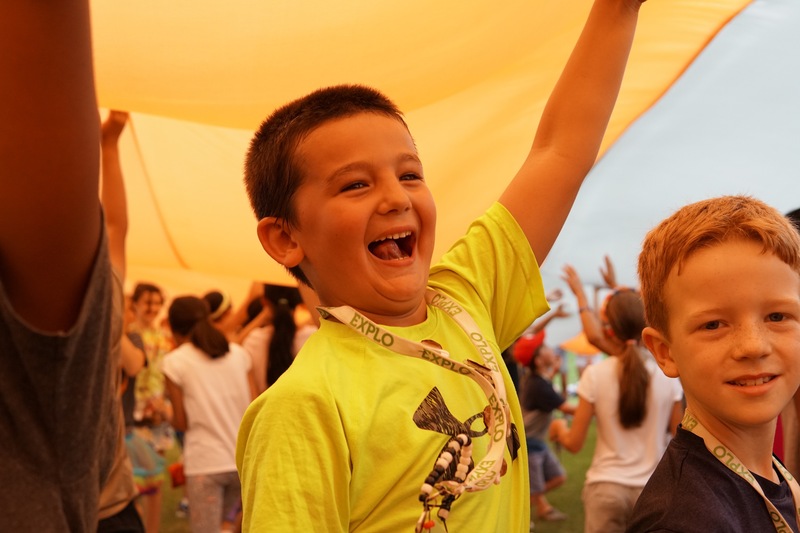 Experience all of the joy, wonder, and celebration of session 2 with our students underneath the EXPLO orange parachute! 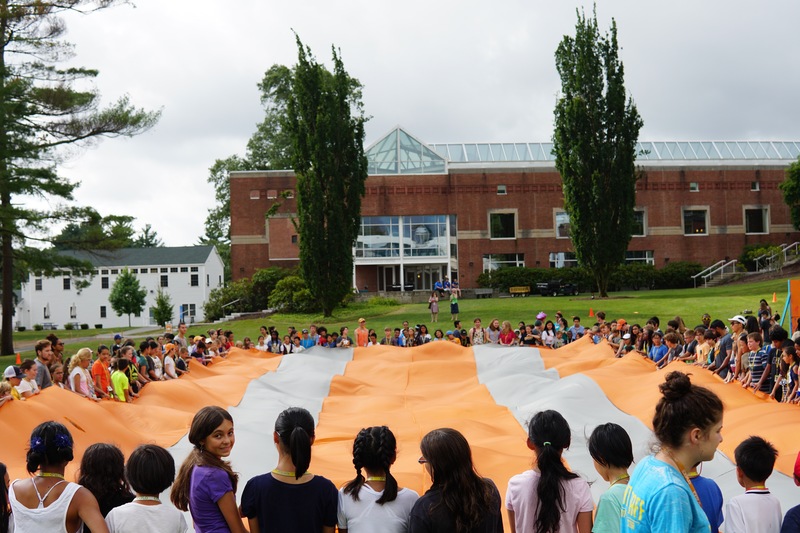 Holding true to EXPLO tradition, students and staff dance their hearts out while running around underneath the giant parachute. 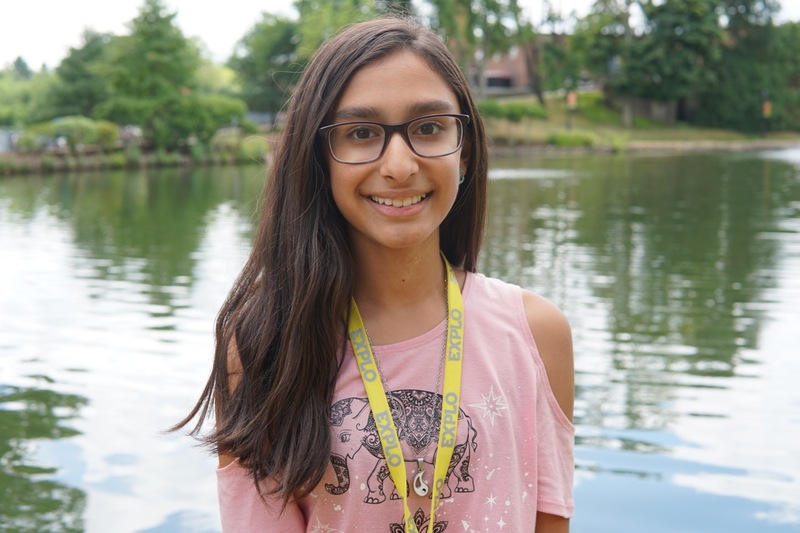 Skills, responsibility, accomplishments, friendship — this is just some of what seventh grader Anya says she has gained during her three weeks at EXPLO. Her only wish is that she had four weeks instead! I’ve never presented my work for a lot of people before. If I’m presenting a project at school it’s just for my class and no one else gets to see what I've done. But at Off-Broadway Night, all of EXPLO at Wheaton is going to look at what I did. I can also learn from what other people did in their classes. all of EXPLO at Wheaton is going to look at what I did. I can also learn from what other people did in their classes. 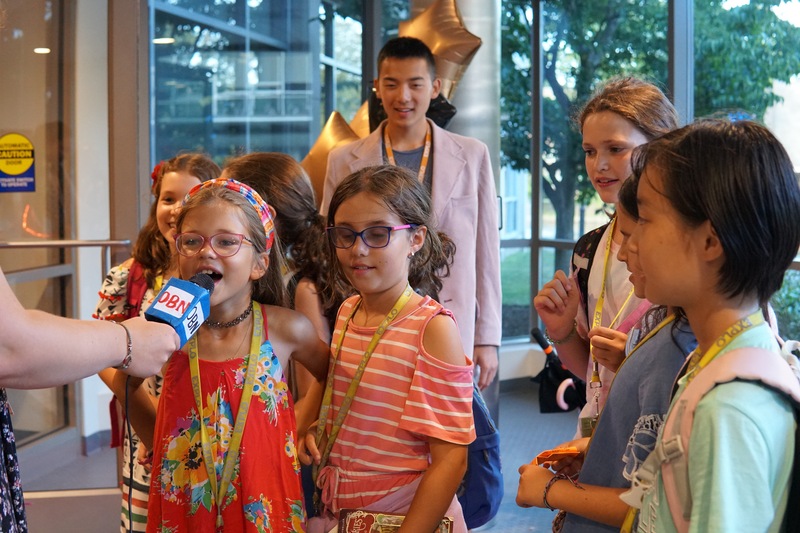 The red carpet is out and students are ready to show off their work! 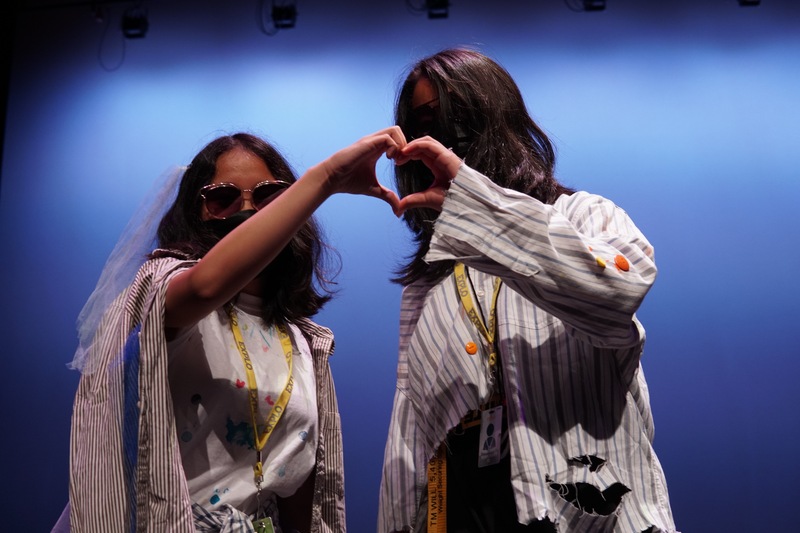 Off-Broadway Night features student projects from the past three weeks. A variety of creative pieces are displayed in a gallery or presented on stage in front of an eager audience. Either way, students get a perfect opportunity to exhibit their talents and hard work! Yesterday I had a long talk with my friend Jonah about the differences between where I live and where he lives. I try to understand what it’s like to live somewhere else because everyone lives in a different place. 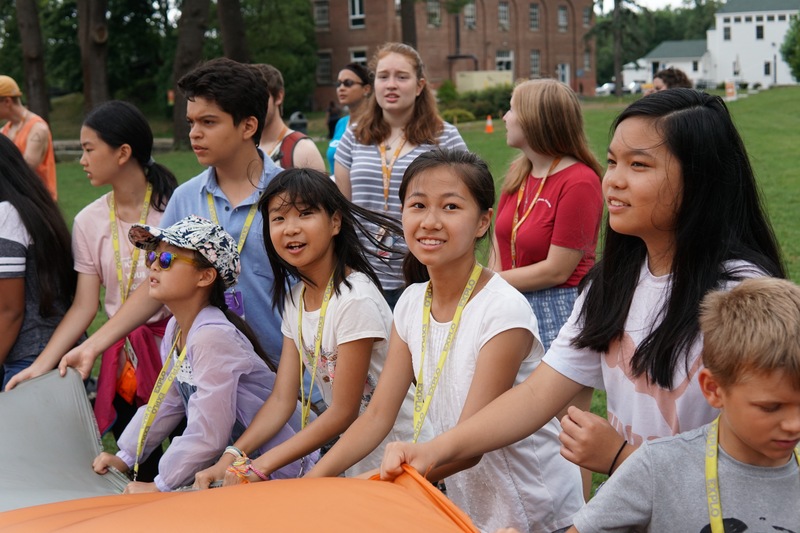 You can do that at EXPLO because the people here come from everywhere! If you know about some else’s culture you can understand their lifestyle and you are able with connect to them.